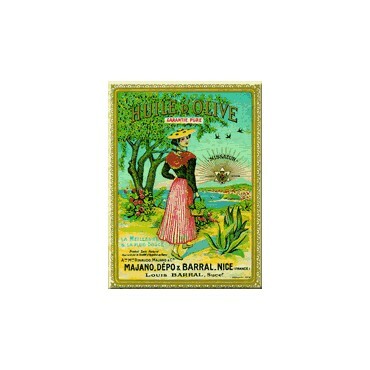 -It is a vintage ad for olive oil. 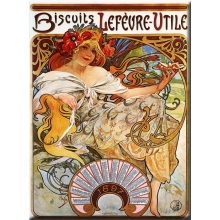 It represents a provence lady in a beautiful Mediterranean view. 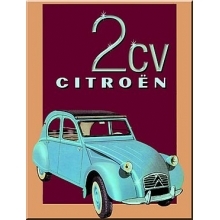 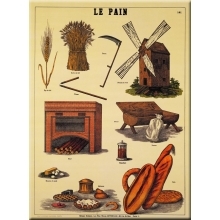 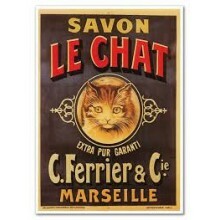 Enjoy this "Olive oil ad"
This French Metal sign represents a provence lady in a beautiful Mediterranean view. 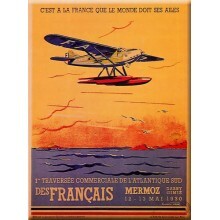 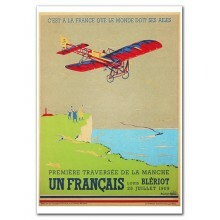 French Metal Sign Mermoz 1930 by L. Cave 5.9"x8.3"
French Metal Sign Bleriot by L. Cave 5.9"x8.3"